Zack Snyder appreciates fans for being supportive as he deals with a family tragedy. 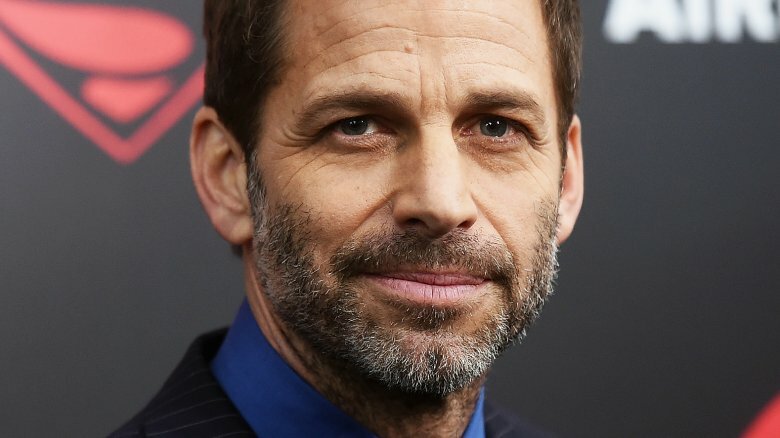 The director stepped down from the remainder of Justice League earlier this week to spend time with his children after his oldest daughter committed suicide. Justice League production was put on pause for two weeks following the death of 20-year-old Autumn in March. Snyder initially intended to go back to the film, but then decided that it was more important that he tend to his family. Snyder's wife Deborah, a producer on Justice League, will also step away from the movie. Joss Whedon will take over Snyder's duties, writing and directing additional scenes as necessary. Warner Bros. Pictures stood behind Snyder's decision, with president Toby Emmerich saying, "What they are going through is unimaginable, and my heart— our hearts— go out to them." He also garnered the support of his fellow filmmakers, with Guardians of the Galaxy's James Gunn, Wonder Woman's Patty Jenkins, and Aquaman's James Wan all reaching out to offer their condolences. Snyder seems to appreciate all of the well wishes, writing on his Twitter, "Thanks for the outpouring of support. I can't express how much it means to Debbie & I and Autumn's mother, Denise, at such a difficult time." He also shared links to the American Foundation for Suicide Prevention and JED, a foundation that works to prevent suicide among teens and young adults. Justice League will be released on Nov. 17.